And lastly, captioned: " In Action! Making doughnuts at Front Line"
Nice selection of Salvation Army greeting cards, Kfields! Thanks for sharing. 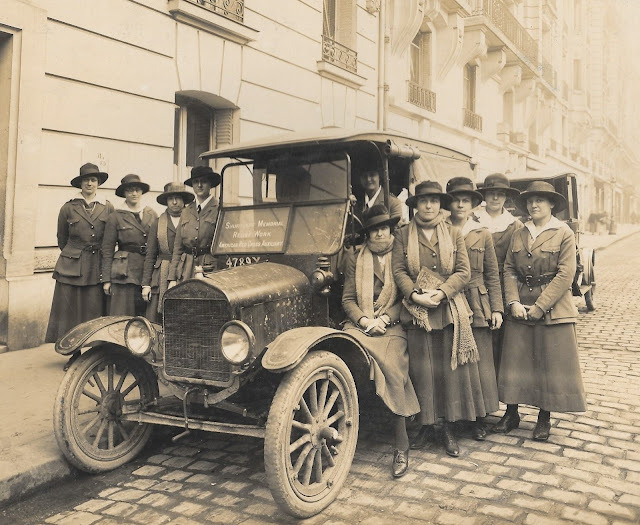 Signal Corps photo with the caption, " AMERICAN WOMEN AMBULANCE DRIVERS who have been at the front under fire were formerly in the American Fund for French Wounded and now belong to the Comite Americain pour Regions Devastes which is affiliated with the A.R.C. 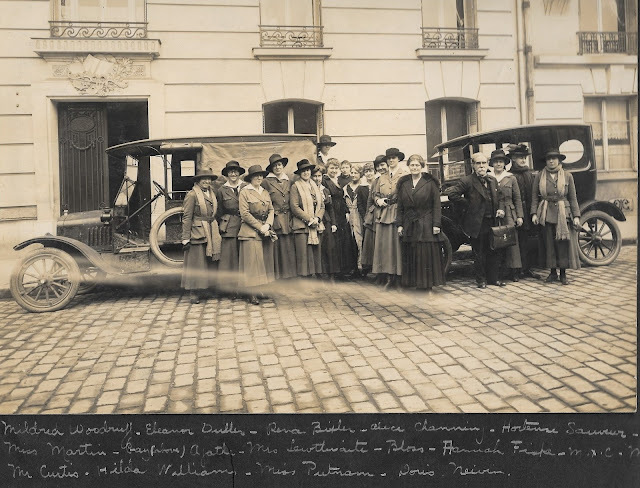 [American Red Cross]"
Some pictures from Paris and the women of the SHURTLEFF MEMORIAL RELIEF WORK. attached at to A.R.C. Great image, Nicolas! Thanks for posting them. I have still have so much to learn about the various service organizations that it scares me---I'm sure this is a pretty simple shot but I don't know who these folks work for, any insights? 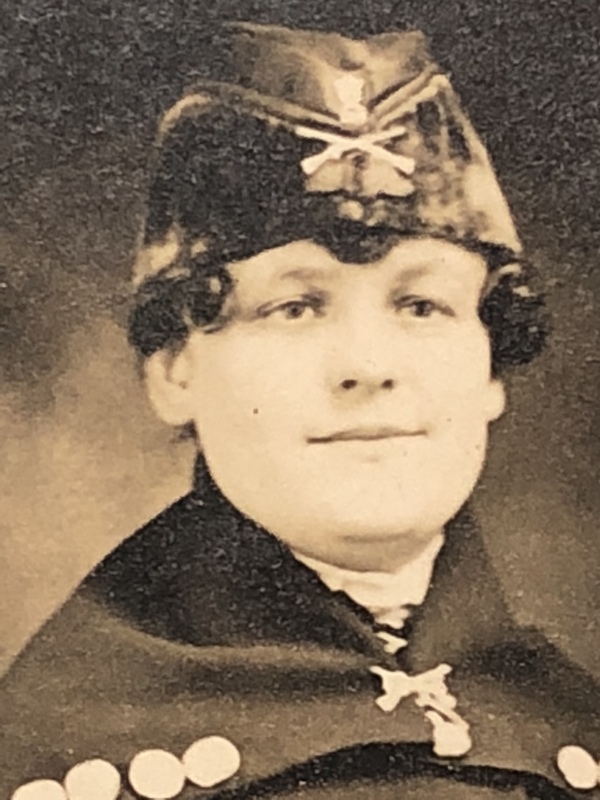 Unidentified YWCA woman in France, ca. 1919. Gladys and Irene McIntyre, Salvation Army workers in France. Damn! You keep pulling more great material out of that collection. I particularly like the ID'ed Salvation Army ladies! I've been trying to paste a photo in here, but can't seem to make it work. Anyway - for any who want more details on the YMCA, I highly recommend two resources: "Service With the Fighting Men" - https://archive.org/details/servicewithfight01taft and "That Damn Y" by Mayo. Service with the Fighting Men is a two-volume set and has a lot of the details of who, how many, etc including citations for the men and women of the Y who were KIA, WIA, etc and decorations including the Croix de Guerre and US Distinguished Service Cross! "That Damn Y" was written by a lady who started her research from an anti-Y position, until she got to France and discovered the truth of the gargantuan effort made by that organization on behalf of the troops. She explains that there sere some "dodos" - as she put it - as well as some incompetent and crooked people, but they were a very small minority. She also showed how things were misinterpreted and gave the Y a bum rap. She quotes a Salvation Army officer who said that "94% of our doughnuts were SOLD to the men, but it's the 6% that we gave away that's always referenced." The Y gave away a lot as well. Both are good reads. Does anyone have photos of YMCA female volunteers in uniforms made from OD or Khaki material rather than the usual blue-gray? I've been trying to post one that I believe does, but can't make it work. Any help is appreciated. I've been loving this thread and learned a lot from it. I also much appreciate the photos and have "borrowed" liberally. I'm glad of the watermarks some of you include so I can know whom to credit if I use them in shared material with a group that is putting together a reenactment group portraying the Y in Europe for commemorative activities. Thanks again. This is my first women’s auxiliary photo.....any ideas or thoughts on what service they are in? Both ladies have metal Infantry insignia on their hats. The one lady on the right has an Engineer patch on her sleeve. They sure have a lot of buttons everywhere! I will post a better photo when I receive it! Edited by abqpropguy, 25 March 2018 - 12:18 AM. I received the photo and hopefully these are a little more clear. Also, is it my imagination or are these two ladies twins? Edited by abqpropguy, 28 March 2018 - 07:19 PM. Central News Photo Service image from October 30, 1918, of YMCA workers from around Bordeaux. Brigadier General Scott, commander of US troops at Bordeaux, in in the center of the group. 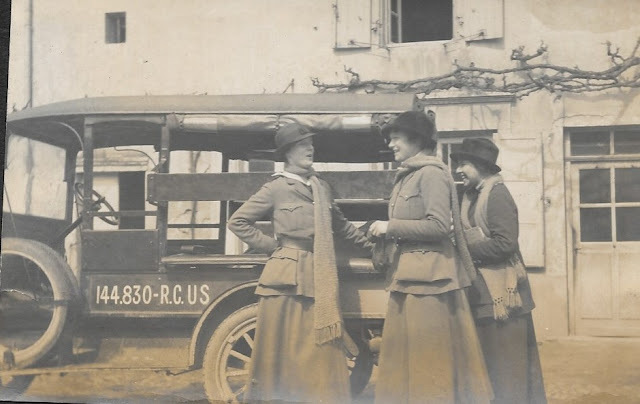 American Red Cross photo by Joel Feder, May 29, 1918, showing the gray summer outdoor uniform for Red Cross nurses. Women's machine gun squad, New York City Police Reserves, practicing with a Lewis gun: Capt Elise Reniger on the gun, Miss Hellem M Striffler on the rear seat and Mrs. Ivan Farasoff driving. Now that's something you don't see everyday! Great photo John, & where do you find these things. Is the logo on the motorcycle's gas tank that of the Excelsior Motorcycle Company? They were the third largest motorcycle supplier (right behind Harley Davidson & Indian) to the U.S. Army during the Great War.